If you'd like to buy any item please contact me using the form on my homepage. Payment by Paypal only. Postage and packing charges will be added at cost. Approx 5 x 7 inches. Card opens from short side so will not slide down when on display! Left blank inside for own message. 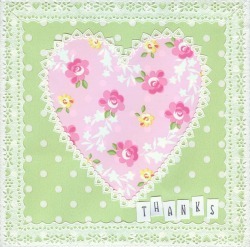 Polka Dot Heart on Rosebud Background, with paper lace. 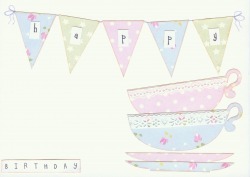 Approx 6 inch square card with envelope. Left blank inside for your own message. Stars (almost polka-dot) on rosebud background. 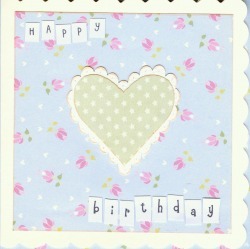 Scalloped card just less than 5 inches square with envelope. Left blank inside for your own message. 8 inch square card with envelope. Left blank inside for your own message. 5.5 inch square card with envelope. Left blank inside for your own message. Approx 6 x 4 inches. Card opens from short side so will not slide down when on display! 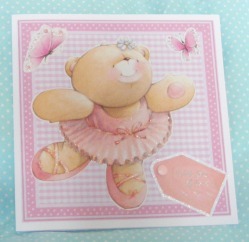 Heart embellishment is raised for 3D effect. Left blank inside for own message. 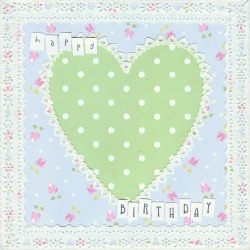 Rosebud Heart on Polka Dot Background, with paper lace. 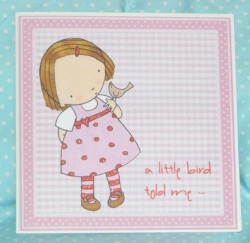 Approx 6 inch square card with envelope. Left blank inside for your own message. 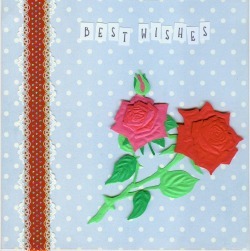 3D roses on polka dot background with paper lace. 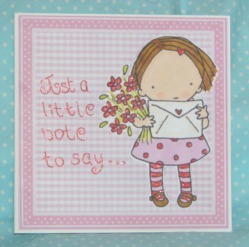 Approx 6 inch square card with envelope. Left blank inside for your own message. 8 inch square card with envelope. Tag reads 'With lots of love x x x' Blank inside for your own message. 8 inch square card with envelope. Blank inside for your own message.